I Am new to Fash.com but you can read some of my most recent reviews from another booking company below my profile here, I will provide a high quality professional sound system -DJ Mixing & light show for same quoted price. Birtday parties of any age as well! I specialize in all genes of music. Current Top 40 Dance Hits, Classic Disco & Rock, Hip-Hop & Rap, Top Line-dances.Pop, R&B, House, EDM, Motown, Country, Latin-Salsa & More! As well as appropiate cocktail hour diner music. My goal is to create a lasting memory for all your guests! Contact me for personal consultation! Ricky was awesome. From the very beginning when I reached out to him through Thumbtack, he was very responsive. He was in constant communication with me leading up to the day of my event. He wanted to make sure I had everything I wanted. He is so nice & accommodating. Thank you so much for doing your absolute best at my party for me & my guests. Wish you all the best! DJ Ricky did a great job! Everyone had a blast! I would definitely use him again and recommend him to others. Working with Ricky of NJ DJ Party Services was a joy from beginning to end. His professionalism is unsurpassed. He took care of everything, was extremely responsive and brought superb entertainment to our event. I would highly recommend NJ DJ Party Services, without reservation, as a DJ for your next event. You will not be disappointed! Ricky was amazing! He was super friendly and easy to work with. He arrived early, had great equipment, and catered to all our needs. We used him for a 10 year high school reunion. He was not only able to come prepared with music we asked for, but also downloaded any additional music we wanted on the spot. We would definitely use him again! Ricky was amazing! From start to finish he was professional. When I first hired Ricky to DJ my mom's 60th birthday he was on top of everything. We had a short timeline to work with and he did not let me down! At the party, Ricky had an amazing light show and set-up. He was there on time and ready to go when the guests started to arrive. Would 100% recommend Ricky to anyone! Thank you Ricky for making my mom's party amazing and memorable!! I contacted Ricky only a few days before my event and thankfully he was available! He responded right away and walked me through the process. He took everyone’s request and played them right away. I received positive feedback from all of our guest! The birthday girl was absolutely excited and amazed by the mix that was played and that every song was good to dance to. If ever in town again we will definitely contact Ricky for his services! My wife and I recently hired Ricky to DJ our wedding, and he did an absolutely amazing job! He was very professional, courteous, well prepared, and kept the dance floor super busy all night long. I would highly recommend him if you are looking for a great DJ. He delivered everything we had hoped for and more, and he even took the time to send us a beautiful video compilation at the conclusion of our wedding. If ever in the need for a DJ again, we will certainly be hiring Ricky DJ!! Ricky DJ was great at our elementary school's Halloween event. He arrived early and was set up and ready to go well in advance of the scheduled start time. He was very good with the kids, played music that they were excited about, and even took their requests. Very professional and pleasant to work with! We recently hired Ricky DJ for a Family Fall Kick-Off event at the Church in which I serve. It was a wonderful event and Ricky was a HUGE part of that. He was wonderful with the children, played each and every song they requested, had them up and dancing the entire time, and went above and beyond in each and every way. I would give Ricky DJ the very highest recommendation, and we are already looking at bringing him back for another event in coming weeks. Thanks, Ricky, for being such a blessing to our families! We look forward to working with you again soon! DJ Rick did a summer Party for Children ages 6-13, they had a great time and he kept them entertained and dancing and having fun. Would recommend!! We had a wonderful time at my daughter's Sweet 16 and highly recommend Ricky DJ!! He was punctual, professional, took the time to ensure everything was exactly the way we wanted it. He got everyone up dancing and did a perfect mix of music everyone enjoyed. He was a pleasure to work with, a very talented and genuinely a nice guy! We will be booking again! DJ Ricky was an awesome guy. Anything you needed, he was able to provide. His sound system was amazing and catered to the older crowd since it was a 60th surprise party, everyone was dancing and had an amazing time. Overall Ricky is an amazing man, and is great to have a conversation with. I would recommend him to everyone!! Thanks Ricky! The party atmostphere and the excitement of the guests having fun! It was my nieces sweet 16 and Ricky DJ was so good. The music varied so well that even the old timers were dancing. Great fun! I folow up on quotes and respond to any phome calls or emails from customers as soon as possible! Usually withn 1 hour. Mobile gigs in NJ for over 3 years. One Affordable Flat Rate That includes, High quality Sound and light show. 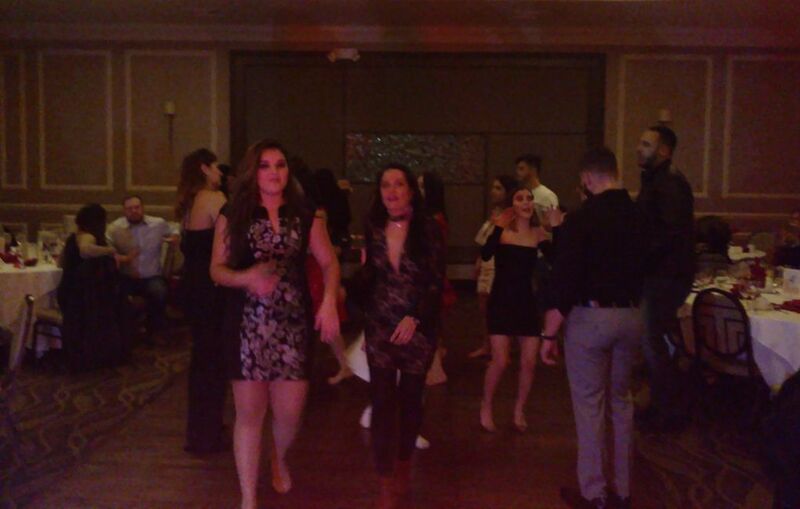 Parents for sweet 16's, Event planners, Class Reunions, Anniversary parties, Birthday parties of all ages, sweet 16's some with 16 candle lighting, Corporate office events, Backyard summer parties, Catering Halls, Restaurants and more! You’ve unlocked the reviews widget! Thank you so much for the great review Lisa!. You guys were wonderful. What a great kids christmas party. I had so much fun djin for them you were the best host Monica, Thank you so much for this great review! Hope to dj your event next year! You guys wereg great, what a fun family. Loved djin your party. Thank you for this fantastic review. Dear Amanda, Thank you so much for the wonderful review. be sure the venue is booked for your event. I'm I ready to hire a pro now.